Beyond the Scale – Sophisticated Bio Feed Back at Home. The image at the top of this page shows scans of six men who all are all 5’ 9” tall and weigh 172 pounds. They are clearly not all in the same healthy shape. This illustrates that weight or Body Mass Index (BMI) does not tell a full story about your health. Body composition, the percentage of fat we carry and the amount of water we retain inside our cells, gives a more complete picture of our health. I have been going to medical appointments with a friend and he is getting much more sophisticated biofeedback than most of us use every day – and we can take these measurements at home. I am NOT a medical professional, but this is interesting. Many people want to lose weight to get healthier. A better health goal is to lose fat and build lean muscle mass. Measuring BIA gives you the information you need. Here is an an article on setting goals for body composition. Have you heard of BIA – Bioelectric Impedance Analysis? This technology tracks fat, body water distribution and phase angle (more on that later). The army has been using these measures for years to monitor the body composition of soldiers. Bioelectrical impedance analysis (BIA) is a commonly used method for estimating body composition, and in particular body fat. Since the advent of the first commercially available devices in the mid-1980s the method has become popular. BIA measures how much resistance your tissue has to a tiny (safe for most people*) electrical current as it flows through your body. The current encounters resistance due to the variation in water content in different parts of your body – like in fat and muscle – and that resistance is measured. *Important information: Individuals with an electronic medical implant such as a pacemaker should not use bioelectric impedance analysis (BIA) as it passes a low-level electrical signal through the body which may interfere with the operation of the implant. Pregnant women should not use BIA devices. The reviews of home BIA machines commonly report that they are much more accurate than they were thirty years ago, but they are not precise for any one measurement. Just like tracking one’s weight, they provide the most useful feedback by tracking body composition over time. The BIA measurement is sensitive to hydration and it is affected by recent exercise – so it a good idea to measure BIA under the same conditions each time, maybe the same time of day. While some reviews suggest that as a person’s body composition changes, the BIA analysis does not always accurately track that change, most user reviews report that the added information about body composition has been helpful input for healthy living. Trainers and nutritionists use this information to track progress. There are several types of BIA devices for home use. Generally, the more expensive machines provide more data and are more accurate. It may not be necessary to invest in an expensive device if the basic one gets you the information you want. Here are some considerations when shopping for a BIA device. Two-electrode devices typically are built into scales. They are less accurate than the 4 or eight-electrode machines. 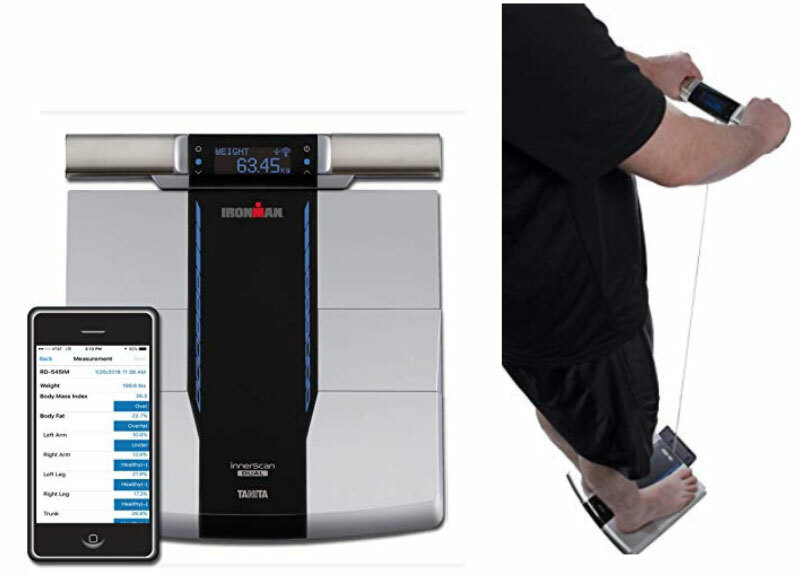 Home scales with BIA technology measure impedance for your legs and extrapolate for the rest of your body. Handheld BIA devices measure impedance for your arms and upper body and extrapolate for your legs. There are whole body BIA devices which measure arms and legs and extrapolate for the body. Reviews suggest that you should look for machines with at least two frequencies. The most thorough measurement is done by Direct Segmental Multifrequency-BIA technology (DSM-BIA). These devices are programmed to analyze your body in five distinct sections – the two arms, the two legs, and the torso. Each of these sections is analyzed independently, and from these, a measurement for the entire body is produced. Here are several home BIA devices which have been recommended to me. 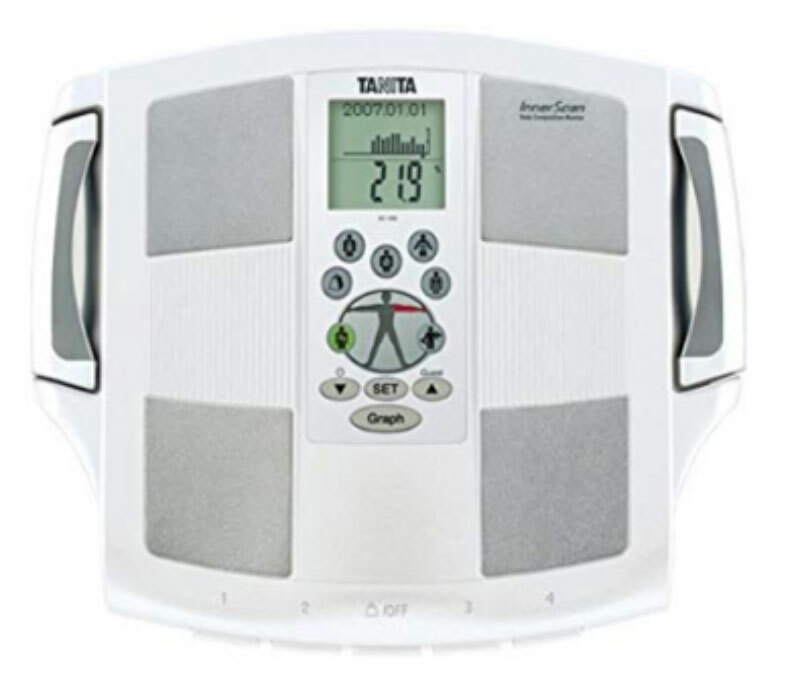 The Tanita Inner Scan uses innovative retractable hand-grip electrodes, along with standard feet electrodes to measure with eight BIA electrodes. It gives you a segmental review of what you’re made of. Why segmental? 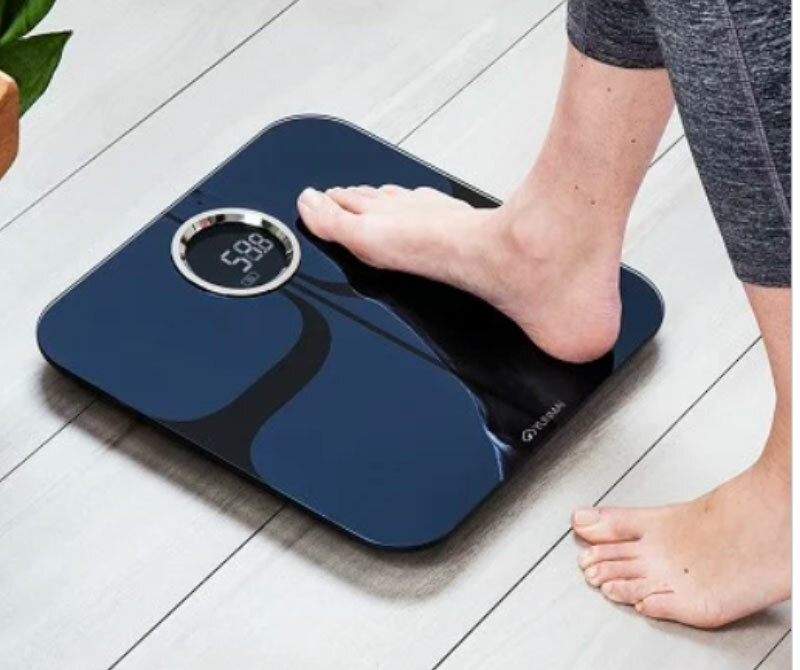 This totally unique product gives individual body composition readings for each body segment- trunk, right arm, left arm, right leg and left leg. The BC-568 is especially useful for anyone who is monitoring the balance of left and right side of body or trying to build or rehabilitate a specific part of one’s body. Yunmai smart scales measure body age, hydration, and bone mass. The premium and mini scales share the same measuring functionality in different sizes to suit your space and can both handle up to 16 different users. Yunmai Bluetooth Premium and Mini Smart Bathroom Scale. 12.9 ” x 12.9 ” x 1.2″ Premium $69.95, Mini $49.95. 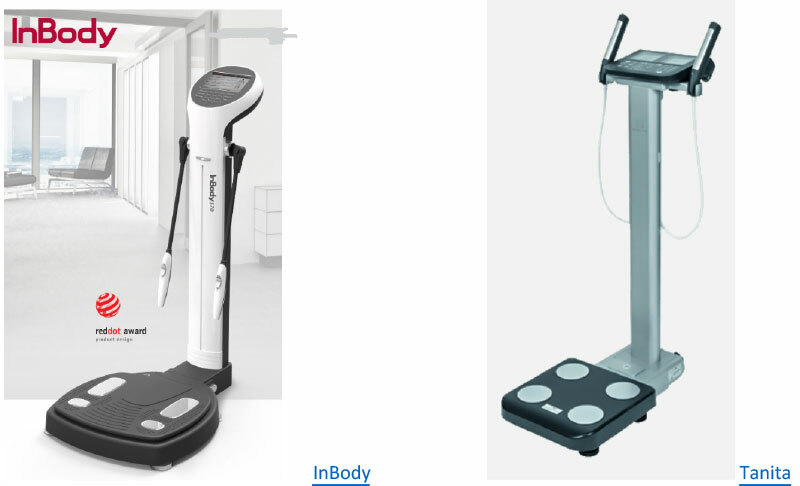 InBody and Tanita are the industry leaders in the high end, clinical versions of these machines. If you are committed enough to invest $5,000+, check out what the top end devices claim to do. Maybe you go to a gym which uses one of these. My friend’s nutritionist gives him a Phase angle measurement at each visit and tracks the results over time. Phase angle is a measurement of the health of the membrane of your cells – the amount of water in your body inside your cells and outside your cells. A high phase angle is good, a low one is bad. People with cancer, malnutrition and HIV typically have low phase angles. This information may help people make lifestyle improvements like a better diet, more exercise and sleep – because they get empirical feedback on the changes they make.